Fiberglass spars! 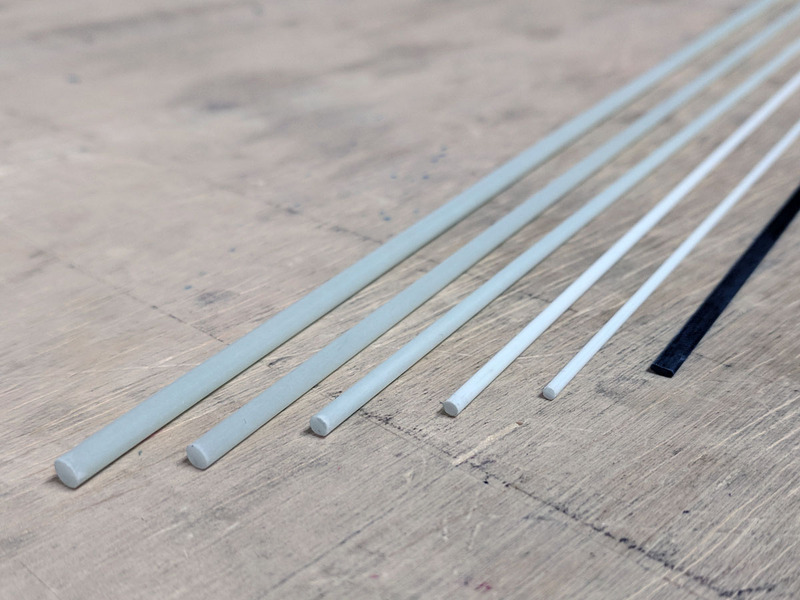 These long, solid tubes of fiberglass are used to strengthen our Legit Wing aircraft, as well as many other purposes. Also known as kite spars. 3x1mm flat spars are rigid in one axis, flexible in the other. These flat spars are carbon fiber.